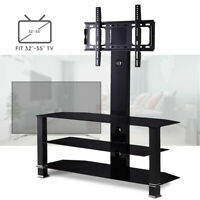 Dimensions Dimensions (w x H x D): TV without stand: 48.5" x 28.1" x 2.9"
Fast shipment and great product at a great price!!! Item as described. Even doubled boxed it. Prompt delivery. Pleasure to deal with. Will use this dealer again. I did a lot of research before purchasing this TV and was a little skeptical due to the high amount quality control complaints that I found. I decided to give it a try anyway. What I have found is that this is an amazing TV at its price point. Did I notice banding when displaying a white screen? Yes, if I stared at a white screen I could tell there was banding. But when am I ever going to watch a blank white screen?! Did I notice dark corners? Sometimes, but really only on static screens (like when an app is loading). I haven't noticed it at all while watching a movie or playing Xbox games. Obviously this isn't a perfect TV, but you also aren't paying 2-3x the cost for a Sony or OLED. For the quality and features it does have, it is fantastic at its price point. Don't let the negative reviews scare you away...as long as you go into it having the right expectations. If you want something more perfect with less banding or dark corners or whatever, go spend twice as much for an LG OLED. I just received this TV less than 2 weeks, having problems of sudden shut down, I recheck if the timer on the TV is on, which is not. I would give it a 5 star because of picture quality and easy to use. I have had the TV for several weeks and I am still amazed at the picture quality. I replaced a several-year-old Vizio HD TV. My son kept saying, "You need to buy a 4K TV." I asked, "Why? I'm perfectly happy with this picture." I didn't know what I was missing. If you're in the market for a new TV (and if you're reading this, I guess you are) and don't want to spend $2,500 on an OLED TV from LG, I highly recommend this model. Very nice picture including black backgrounds that are truly black! Sound is OK, brightness is very good even in light room. Excellent packaging job by seller also! 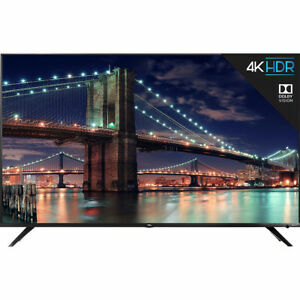 TCL 55" 4K Roku TV Model 55R617 - Absolutely Awesome! Highly Recommend! I read all the reviews prior to ordering this TV. All of the reviewers said this was the absolute best TV you could purchase under $1000. They were not lying. WOW! This Roku TV has blown me away. I've never had Roku before and the interface is fabulous and I'm in love. This TV has 5G WiFi which gives you ultimate streaming abilities if you have a 5G router, which I have. The picture quality is the best I have seen in this price range. I highly recommend this model, the 55R617. This is the top of the line TCL and you get a lot bang for your buck.